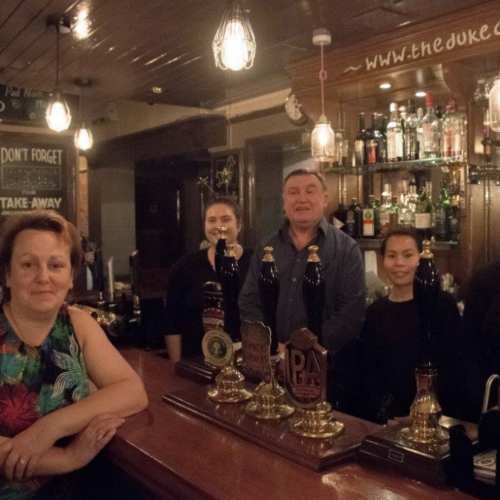 A quiz was held on Tuesday 26th September at the Duke of Connaught Pub in Windsor to raise money for the Spencer Denney Centre in Dedworth, a centre for the local elderly in the area. Once again, the combination of community spirit and the support of local businesses brought a fantastic response. Members of staff from Lodge Brothers, volunteers from ‘Age Concern’ and members of the local community managed to raise a staggering £1048.74 for the local charity! The professional posters and tickets printed free of charge by Paul Baderman of Prontaprint helped to give the event the appeal to fill every seat in the pub, and not only did (landlord) Gerry Keane and his staff do an amazing job of providing a wonderful Thai curry, they actually donated the food free, so that the whole cost of the ticket went to the charity. Add to this, the hard work of Penny Mixter and Victoria Kibble making cakes, and the efforts of Gary Palmer to create a challenging quiz, all made for a great evening. For Lodge Brothers, being part of an industry that deals with grief and a great deal of sadness, it is positive to be able to be part of something that benefits people in the community. Windsor Branch arranger Jill Palmer, who organised the event, said: “As a Company we aim to be there in happier times too and try to take away the taboo that is often connected with our industry. Every day we support the grieving, and care for their loved ones, and so it is special to be able to have fun and make a difference in our community. In such an increasingly busy society, it is wonderful to see so many people take time out and come together to support a much needed project like this”. The Day Centre volunteers were thrilled with the amount raised, and have already decided to use the money to provide days out for the elderly in 2018.